The film is, according to Oppenheimer, a “complementary” view of Indonesia that should be viewed in tandem with his first feature doc The Act of Killing. Oppenheimer’s debut film is one of those rare works that transforms a society and reveals truths to a world. It exposed the genocide that took place in 1965-66 when almost a million people were killed, accused of Communism, in the wake of Suharto’s coup that ousted Sukarno. With descendants of Suharto’s regime still effectively in power, it took great courage on the part of Oppenheimer and his crew to make The Act of Killing and The Look of Silence. The fact that the first film went on to be nominated for an Oscar and garner the British BAFTA, European Film and Asia Pacific awards seems almost superfluous to what Oppenheimer’s documentary achieved towards creating an honest discourse in Indonesia. It’s an accomplishment that Oppenheimer understandably relishes. But what about that silence—the oppressive lack of naming fundamental ills in a culture for nearly half a century? Oppenheimer has been haunted by that vast quietude since he first learned about the holocaust while making The Globalisation Tapes, a community oriented project with macro-economic ramifications, in 2001. It inspired him to make not only The Act of Killing, in which Anwar Congo eventually comes to realize the moral implications of the murders he committed in the name of Suharto, but also The Look of Silence, in which Adi, a gentle optometrist confronts the perpetrators of his brother Raml’s death during that horrific time. 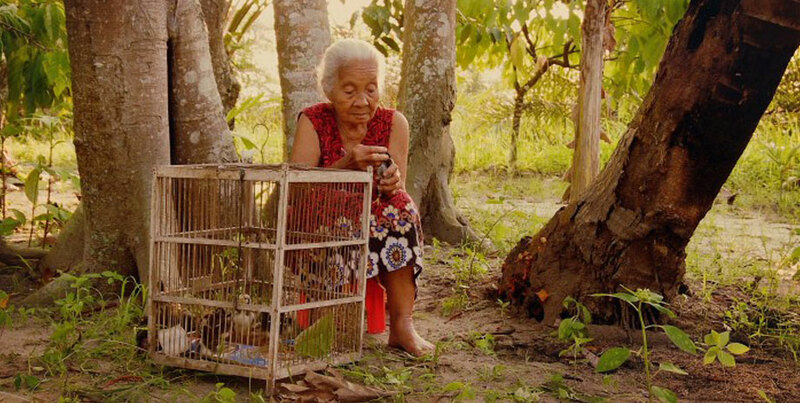 Some festival reviewers have criticized The Look of Silence for its less overtly stylish approach to the Indonesian killings. Many had reveled in Anwar Congo’s nearly operatic performance in The Act of Killing and were hoping for more transgressive material in the new film. The metaphor of Adi’s profession and Oppenheimer’s choice to show the perpetrators’ revelations through close-ups of the heavy red lenses of an optometrist are the most distinctly “filmic” moments in The Look of Silence. Oppenheimer deliberately went for a different style and narrative structure in The Look of Silence. In The Act of Killing, he was trying to psychologically catch the brutality and barbarism of Anwar Congo and his comrades by asking them to recreate the way they killed their victims so many years ago. Congo and the rest were happy to do so at first as they saw themselves as superheroes like Batman or Superman or action stars like Stallone or Bruce Lee. It was only after a long process of reenactments that Congo finally begins to understand the terrible meaning of all the deaths he inflicted in the past. But Adi is an innocent, someone born after the massacres as a replacement for his dead brother Ramli, who was killed by people like Congo. His story is simpler: he wants to get the truth from the perpetrators and he gets to meet and confront them because he’s an optometrist, someone who is ostensibly there to make them see better. It’s a perfect metaphor, of course, but Adi never succeeds in getting the killers to admit to their crimes. Oppenheimer wasn’t surprised: “I understood that Adi was likely to fail in that attempt, that the perpetrators would not find the courage to abandon the boastful justification of what they’ve done, because then they would have to live with their own consciences. My work with Anwar Congo and the men around him while making The Act of Killing taught me as much. I expected rather that they would respond as they do—with threats, with anger, with fear—and that we would reach an impasse, but I felt that by documenting that impasse we would be showing viscerally the challenge that Indonesia faces. 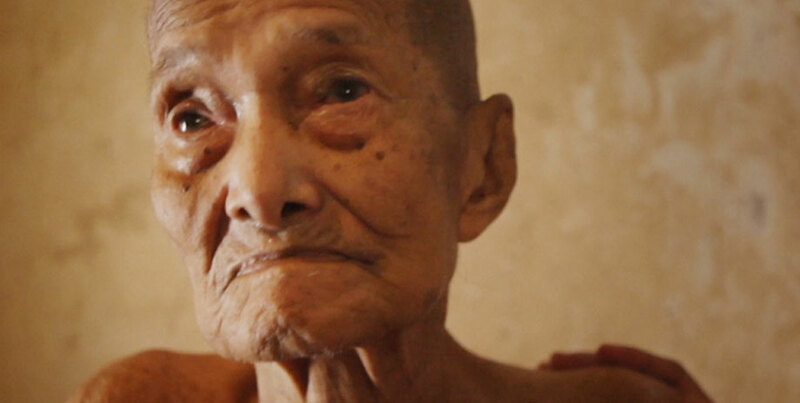 The Look of Silence is, in its own way, as profound a film as The Act of Killing. It’s a masterpiece and is essential viewing.